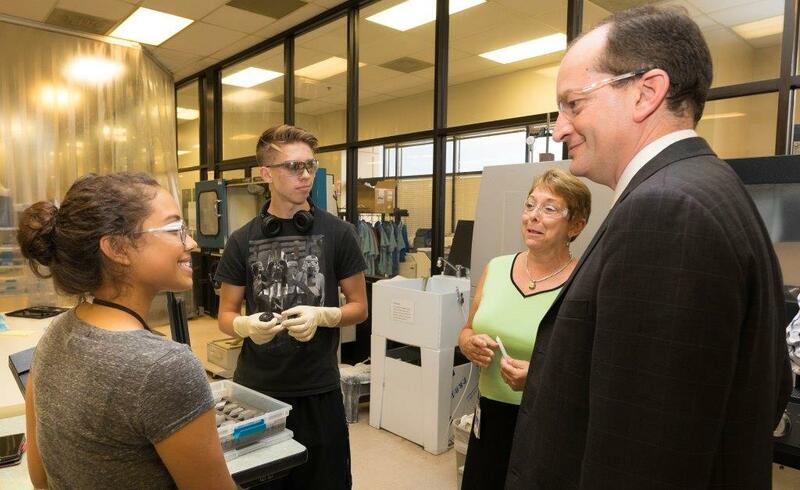 On Friday July 21st, Secretary Acosta of the Department of Labor visited REO to learn about the optics apprenticeship program that REO offers. Together with Front Range Community College and several Colorado based optics and photonics manufacturing companies, REO has led the effort to develop an optics technician apprenticeship program and certification. This program combines on-the-job training and classroom learning to provide a solid foundation for a successful career in high tech optics manufacturing. The Front Range of Colorado has become a center for optical manufacturing and the demand for highly trained and skilled optical technicians continues to increase. 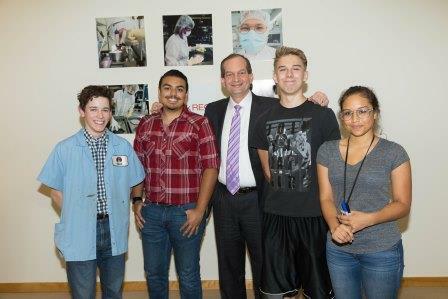 Secretary Acosta toured the REO facility and met 4 of the 6 REO apprentices. 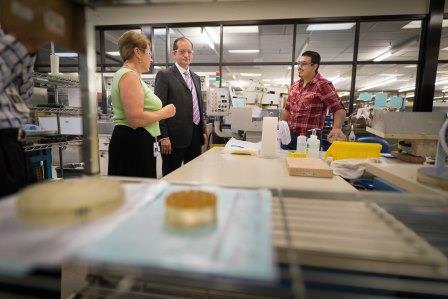 When asked by Secretary Acosta how things were going, one apprentice responded, “This is cool; my friends are working at Olive Garden and I get to build HeNe lasers!” Secretary Acosta wanted to know how the Department of Labor could help continue to support apprenticeship initiatives like this one. He shared that in September an initiative will be announced to encourage more apprenticeship programs headed by companies within various industries rather than by the government. 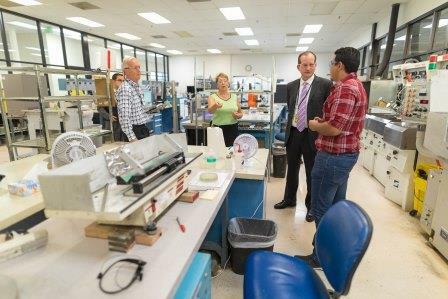 REO was deeply encouraged by this visit as we progress through the second year of our apprenticeship program. Click here to learn more about the REO apprenticeship program.